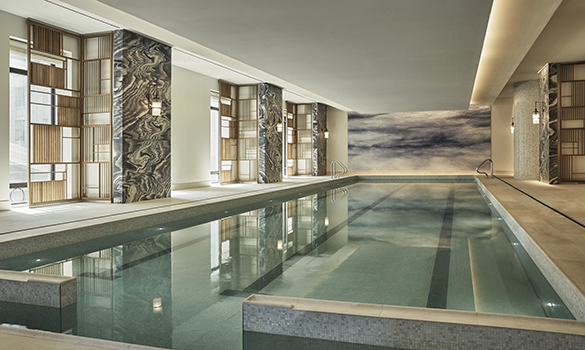 Exquisite craftsmanship blends with impeccable service at 30 Park Place, Four Seasons Private Residences New York Downtown. 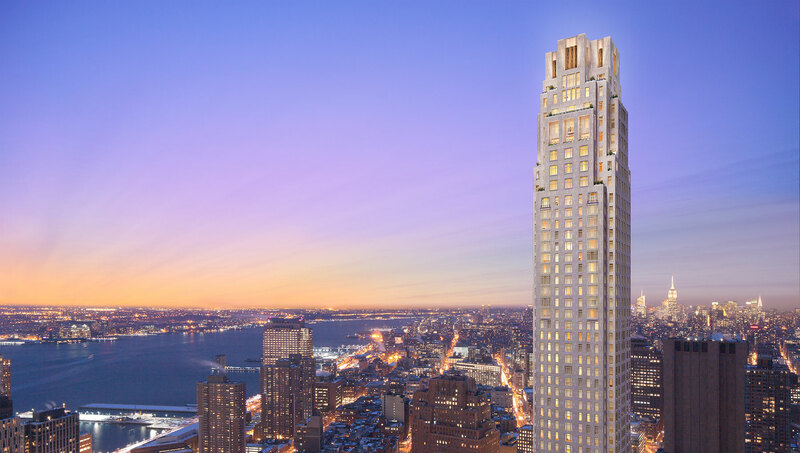 Masterfully designed by Robert A.M. Stern Architects, 30 Park Place stands at an impressive 82 stories high with sweeping 360-degree views from the tallest residential tower to grace the downtown skyline. 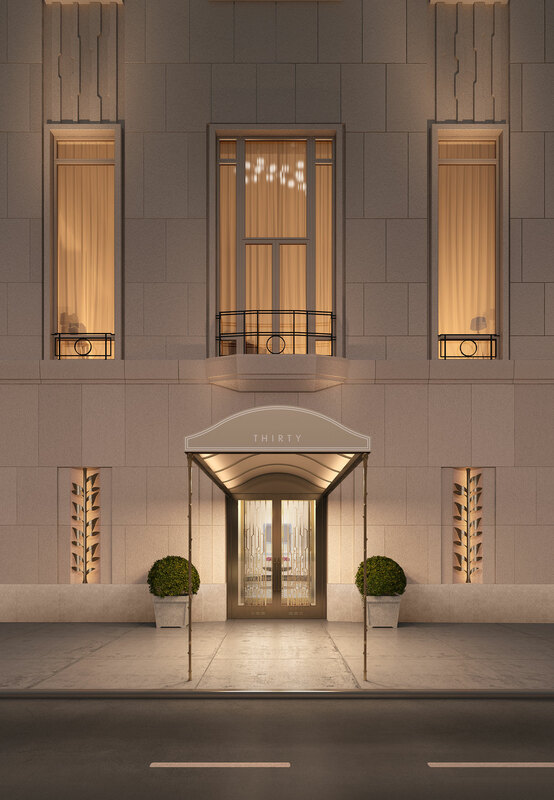 With 157 private residences starting on floor 39, above the Four Seasons New York Downtown, residents will enjoy the benefits of unparalleled hospitality and services. 30 Park Place features an attended parking garage, housekeeping and laundry service, in-room dining, babysitting, and a spa with a 75-foot pool. Its TriBeCa location is proximate to the city’s most sought after art galleries, upscale boutiques, and exciting restaurants. 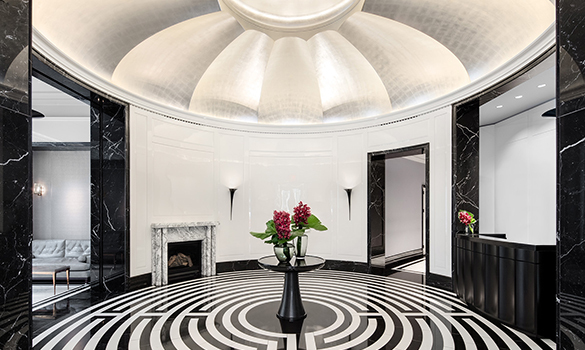 Residents are welcomed through a private entrance into a lobby with a chiaroscuro mix of white Thasos and Nero Marquina marbles in Art Deco style. The entire 38th floor with panoramic views is dedicated to residents' use and features a fitness center with private yoga studio, landscaped double-height loggias, a vaulted conservatory, a private dining room, a catering kitchen, a screening room, a lounge, and a children’s playroom. Layouts range from one to six bedrooms, with ceiling heights from ten to nearly fourteen feet. 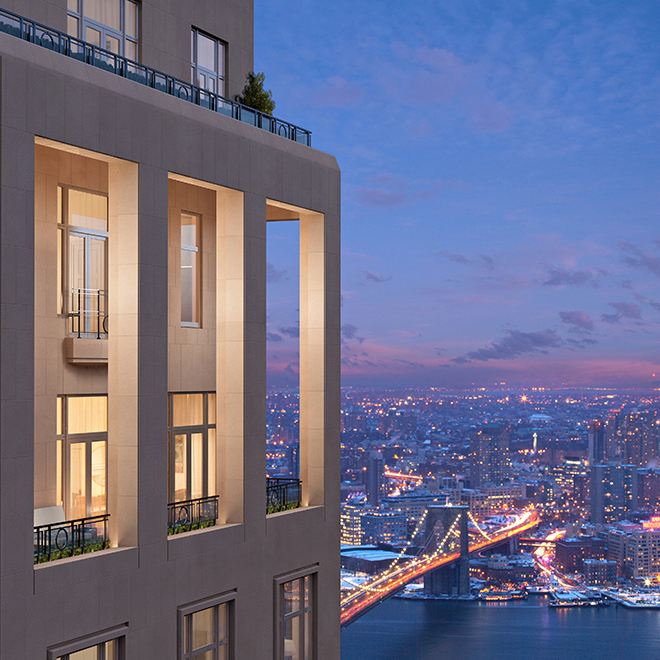 All residences are bright and contemporary, with oversized windows, white mullions, and white oak floors. Kitchens and bathrooms feature white marble and Kallista fixtures. Residences enjoy generous sunlight and unobstructed views of Midtown, the Hudson and East Rivers, and the Statue of Liberty. The complete offering terms are in an offering plan available from the Sponsor. File No. CD13-0258. Equal Housing Opportunity.